The best (and worst) musical jokes. Did you hear the one about the viola...? 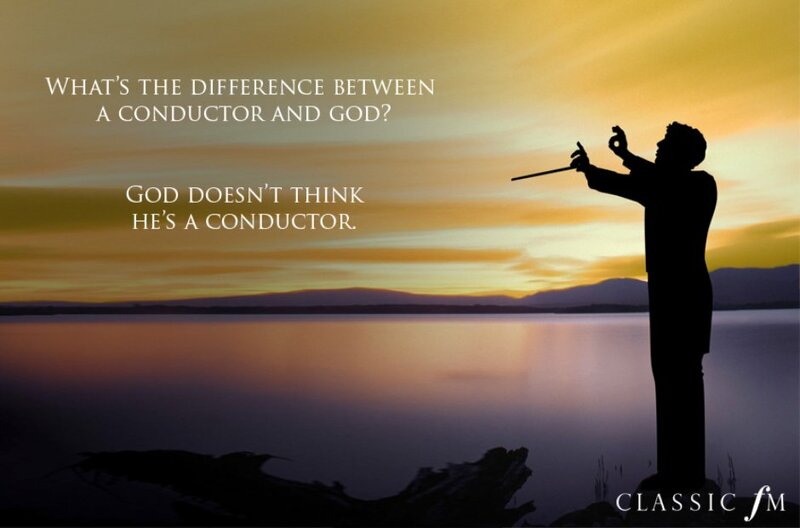 What's the difference between a conductor and God? God doesn't think he's a conductor. Why couldn't the string quartet find their composer? He was Haydn. What is Beethoven's favourite fruit? "Ba-na-na-naaaaa"
Arnold Schoenberg walks into a bar. "I'll have a gin please, but no tonic"
Why was the former conductor of the Berlin Philharmonic always first off the plane? Because he only had Karajan luggage. There are so many jokes about this composer. I could make you a Liszt. How do you fix a broken brass instrument? With a tuba glue. Middle C, E flat and G walk into a bar. "Sorry," the barman said. "We don't serve minors." How do you get a trombonist off your doorstep? Pay them for the pizza. What's the difference between a bassoon and a trampoline? You take your shoes off the jump on a trampoline. How does a soprano sing a scale? Do, Re, Mi, Me, Me, Me, Me ME! What's the difference between a musician and a large pizza? A pizza can feed a family of four. What's the definition of perfect pitch? When you throw a banjo in the bin and it lands on an accordion. Why did the pirate buy a Pavarotti album? Because he loved the high Cs. Knock knock, who's there? Philip Glass. Knock knock, who's there? Philip Glass. Knock knock, who's there? Philip Glass. What do a viola and a lawsuit have in common? Everyone's relieved when the case is closed. What's the difference between a chainsaw and a saxophone? You can tune a chainsaw. How many sopranos does it take to change a light bulb. One. She just holds on and the world revolves around her. Two back desk orchestral players go fishing and one falls out of the boat. He screams: "Help, I don't know how to swim!" His partner replies: "Just fake it!" Son, what did you learn at your first double bass lesson?